The staff was pleasant and polite. 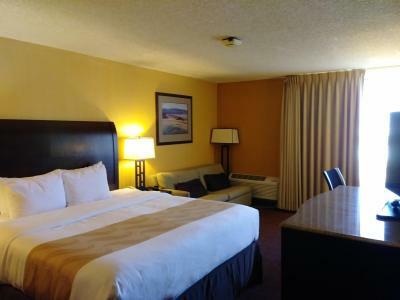 The king sized bed was comfortable, and the room was clean just a bit dated with popcorn ceilings. The bed.Hot shower.Young lady at front desk upon arrival and check in was very pleasant and did her best in spite of being fairly new. 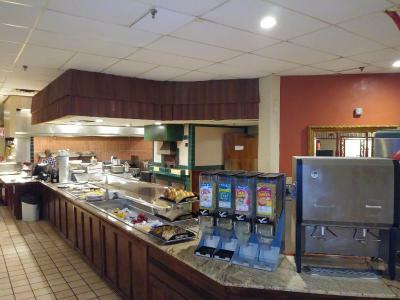 They have one of the best breakfast buffets around. And it's a little out of the way so it's nice and quite. Very comfortable bed. Liked the lounge. Great price on beer. Front desk personnel very helpful. The first morning we spent there the breakfast was not very good. The second morning however, the breakfast was very good. The difference was the food was cooked better and not overcooked (sausage). And everything seemed hotter temperature wise than the day before. 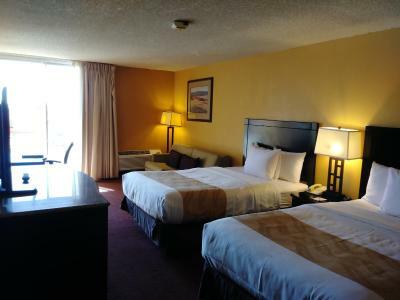 The beds were comfortable and the room was clean. They also gave us a hot breakfast included. We just needed a place to crash for the night. However the facility is pretty old...I believe it was there when I lived in Ft. Collins close to 50 years ago. The place was packed with travelers which I guess they were also looking for a room that was not too expensive. 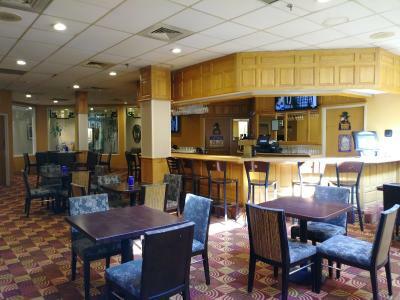 You can tell that the room was kept up fairly well, but you can only do so much without a major renovation, which this place has not seen in quite awhile! Bed was comfortable. Good channels on tv. Heater worked good. This place was horrible. The entire building was run down and filthy. 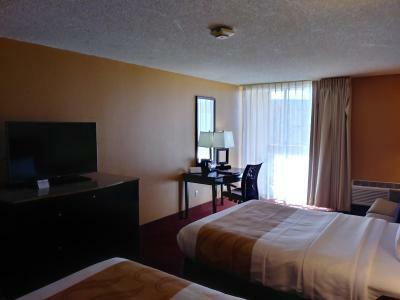 We had two rooms that cost us $125 each and both were horrible. The staff did not offer to accommodate us. We should have left the property! Quality Inn & Suites Fort Collins This rating is a reflection of how the property compares to the industry standard when it comes to price, facilities and services available. It's based on a self-evaluation by the property. Use this rating to help choose your stay! 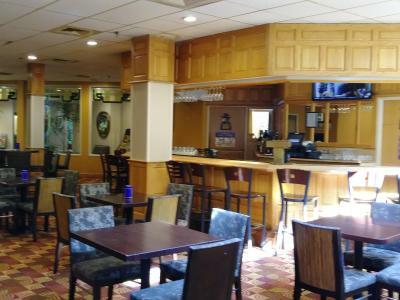 Featuring a bar, Quality Inn & Suites Fort Collins is located in Fort Collins, 3.3 miles from Odell Brewing Company. 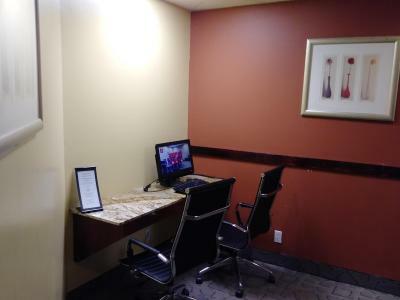 With free WiFi, this 2-star hotel offers a 24-hour front desk. New Belgium Brewing Company is 3.8 miles from the property. 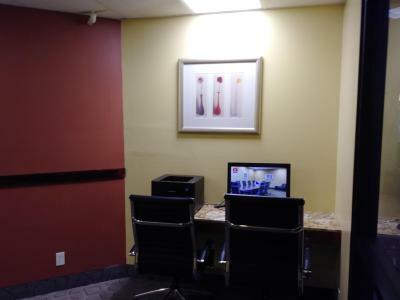 Guest rooms at the hotel come with a seating area and a flat-screen TV. 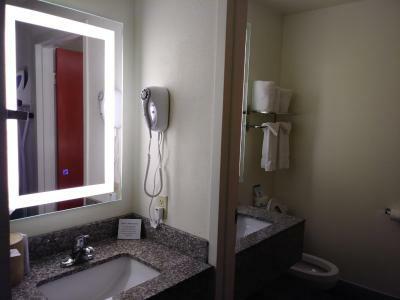 Rooms are complete with a private bathroom equipped with a bath, while some accommodations at Quality Inn & Suites Fort Collins also have a balcony. The rooms at the accommodation include air conditioning and a desk. 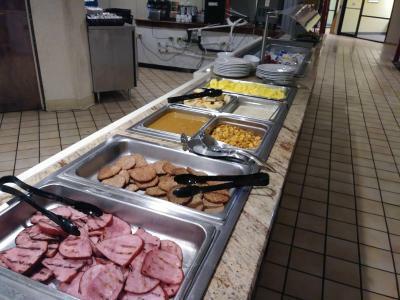 Guests at Quality Inn & Suites Fort Collins can enjoy a buffet or an American breakfast. 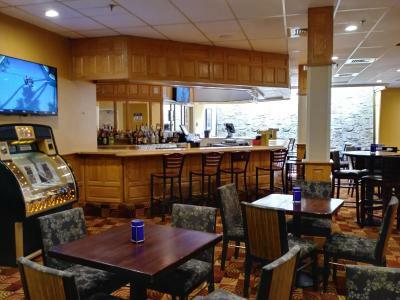 Guests can dine in the in-house restaurant, which serves a variety of American dishes. 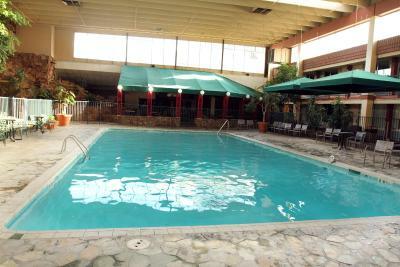 The wellness area at the hotel is comprised of a hot tub and an indoor pool. 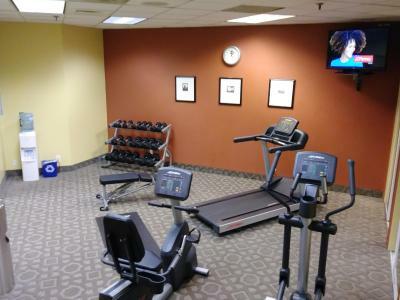 Colorado State University is 5 miles from Quality Inn & Suites Fort Collins, while Hughes Stadium is 8 miles away. 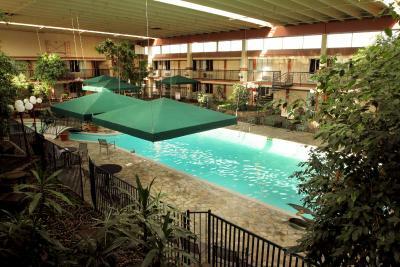 The nearest airport is Cheyenne Regional Airport, 46 miles from the accommodation. 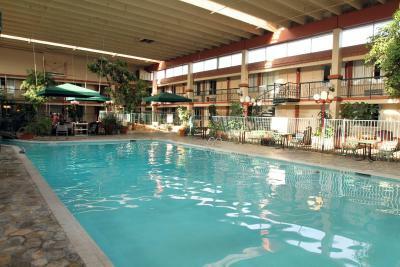 When would you like to stay at Quality Inn & Suites Fort Collins? 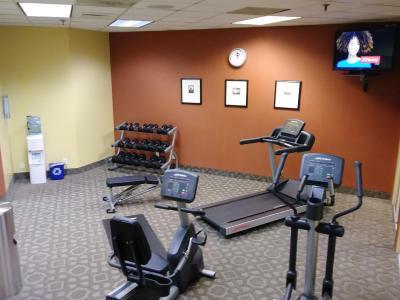 A flat-screen TV, a microwave and air conditioning are featured in this room. Featuring a bath or shower, private bathrooms also come with a hairdryer. 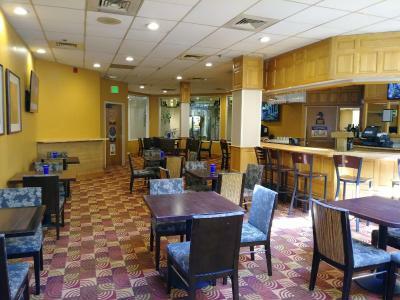 House Rules Quality Inn & Suites Fort Collins takes special requests – add in the next step! Quality Inn &amp; Suites Fort Collins accepts these cards and reserves the right to temporarily hold an amount prior to arrival. 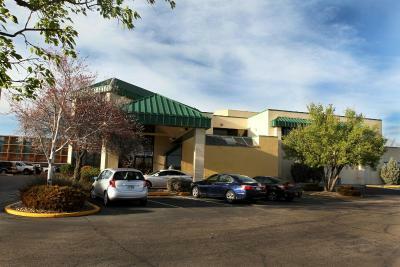 Quality Inn & Suites Fort Collins accepts these cards and reserves the right to temporarily hold an amount prior to arrival. The pool and jacuzzi were closed that was disappointing. 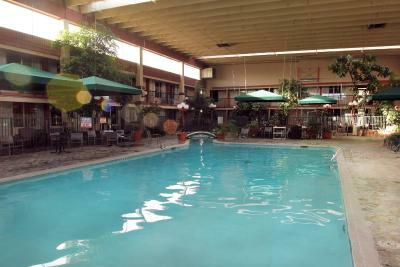 The lobby still mells like chlorine probably because there is still water in the pool. The lobby is nice but misleading. The hallways are in need of renovation. There were several leaks, and they smelled like years of old cigarette smoke. I will not return, and I can’t recommend the Quality Inn. Not much. Bed was a little stiff. Nice and quite. 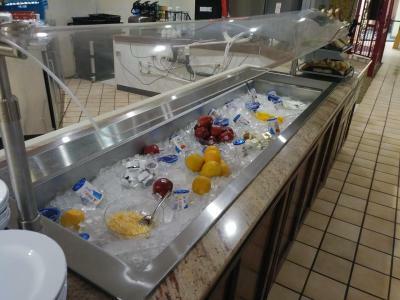 Fantastic breakfast buffet. The lobby clock was half an hour ahead. The small table near the check-in desk was a complete mess! The hot tub didn't work - very disappointing. The breakfast could of been good if hot, but I felt bad for one employee trying to do it all by herself. The night manager was obviously in over his head,poor training ???? Room service didn't leave clean towels! And when we called for towels, it was a long wait (after getting no answer after calling and had to call again). Room was very beat up. Clean but scratched up doors, walls and furniture...some sort of gross looking spill or burn-on couch (I didn't want to get too close). First door I tried to enter building, the key card didn't work. Maid came out and I asked for help but she just said it doesn'tt work, go use different door. Not that big a deal in the scope of things, but frustrating . The sliding glass door was extremely difficult to open. We had to change rooms because the first room smelled old and moldy. Second room very good. Break fast starts after 7 AM on a weekend. I needed to eat some other place before I go to work. Our first night in the hotel was really good. 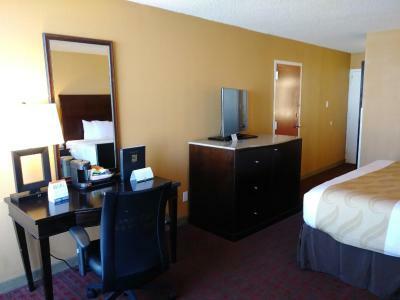 The room was clean and nice upon first inspection. I had requested the towels be changed out and the room freshened up upon heading out the next day. When we returned back to our room it was clean or so I thought. I went to move the pillows on my side of the bed and saw 2 little black mouse turds laying on the sheet up by the headboard. I immediately called the front desk and Brian the desk clerk didn't hesitate and moved us to another room. However after coming back from breakfast the next morning, I discovered another mouse turd on the bed. 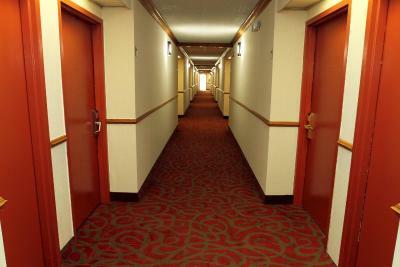 I think they need to exterminate that whole floor and hotel. And just in case the management thinks it, no, we did not bring any mice with us. We don't have any in our house. And always check our luggage when we are out. I wasn't surprised what I found given the age of the building and the price of the room. Room neat and clean, beds were good. Elevator was scary. Noisy. Security wad not good. Doors were to be locked and entrance by key card only and wad open all times. I found a already used washcloth ha ginger over the shower head in my room from the previous guest that was missed by the cleaning staff. The breakfast was absolutely fantastic.